This is part of an occasional series highlighting some of the digital resources available at the Library that will be of interest to students and staff in History, Classics and Archaeology. The Federal Bureau of Investigation (FBI) was formed in 1908 by then Attorney General, Charles Bonaparte, under President Theodore Roosevelt. Initially known as the Bureau of Investigation (it added “Federal” in 1935) over the next 110 years the FBI’s remit and influence grew considerably and they are synonymous with American cultural, social and political history in the 20th century and beyond. The FBI have been involved in a large number of famous, not so famous and infamous cases dealing with organised crime, terrorism, civil rights, white collar crime, espionage, violent crime and more. And did you know that through the Library you have access to a range of digitised files from the FBI? 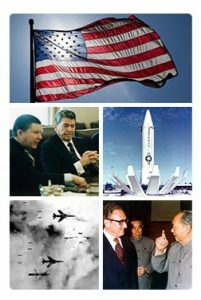 Through the Library’s subscription to Archives Unbound (an enormous digital primary source database) you have access to over 20 collections of digitised material direct from the FBI, covering over 70 years of American history. You’ll spot some famous cases and names within these but possibly also some less known. However, between them they provide a fascinating insight into the political, cultural and social climate of the United States in the 20th century. On Tuesday 30th January we’ll be holding a Discovery Day event in the Main Library where representatives from 3 publishers of digitised primary source collections and our very own Centre for Research Collections will be on hand to help you navigate through and find useful material in the huge range of primary sources you have access to at the Library. The University of Edinburgh holds world class collections, including rare books, archives and manuscripts, art, historical musical instruments and museum objects ranging from geological specimens to anatomical models. These unique collections are and can be used for teaching and research within the University and by the wider community. On Tuesday 30th January we’ll be holding a Discovery Day event in the Main Library where representatives from 3 publishers of digitised primary source collections and our very own Centre for Research Collections will be on hand to help you navigate through and find useful material in the huge range of primary sources you have access to at the Library. ProQuest are one of the publishers who will be attending and this blog post highlights the fantastic collections the Library has access to through them. The Library has access to a large and broad range of primary source collections that can be accessed via the Primary Source database list or the separate Newspapers & Magazines list and Images & Moving Images list. Through ProQuest the Library has access to around 45 of these fantastic databases. ProQuest has built its expertise in preserving and widening access to significant research collections over 75 years, partnering with large and small libraries and archives, to bring you collections encompassing government, humanities, and historical documents that formerly may have been difficult to retrieve. Alexander Street Press and Chadwyck-Healey databases are also part of the ProQuest suite of resources. On Tuesday 30th January we’ll be holding a Discovery Day event in the Main Library where representatives from 3 publishers of digitised primary source collections and our very own Centre for Research Collections will be on hand to help you navigate through and find useful material in the huge range of primary sources you have access to at the Library. Gale Cengage are one of the publishers who will be attending and this blog post highlights the fantastic collections the Library has access to through them. On Tuesday 30th January we’ll be holding a Discovery Day event in the Main Library where representatives from 3 publishers of digitised primary source collections and our very own Centre for Research Collections will be on hand to help you navigate through and find useful material in the huge range of primary sources you have access to at the Library. Adam Matthew are one of the publishers who will be attending and this blog post highlights the fantastic collections the Library has access to through them. The Library has access to a large and broad range of digital primary source collections that can be accessed via the Primary Source database list (see also the separate lists for Newspapers & Magazines and Images & Moving Images). 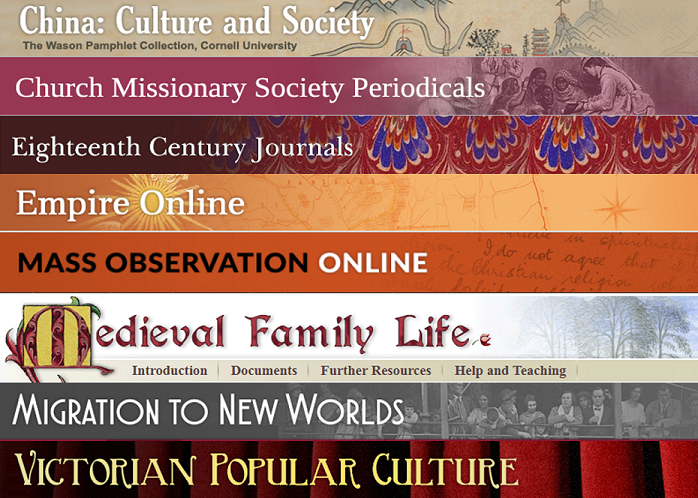 Adam Matthew are a publisher who specialise in producing high-quality, digitised primary source collections online. 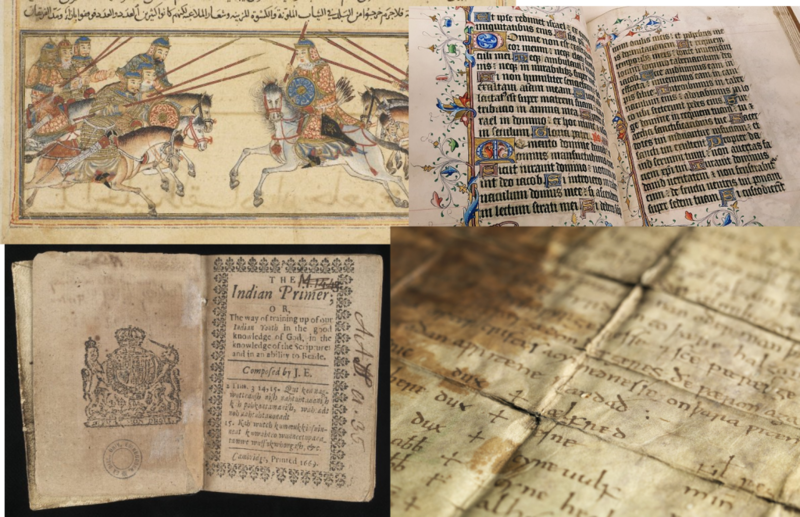 They put together thematic collections sourced from libraries, archives, museums, etc., around the world and they have databases that cover the Medieval period onwards. The Library is very lucky to have access to 11 of these collections (or databases) from Adam Matthew and all can be accessed via the Primary Source database list. This is part of an occasional series highlighting some of the online resources available at the Library that will be of interest to students and staff in History, Classics and Archaeology. 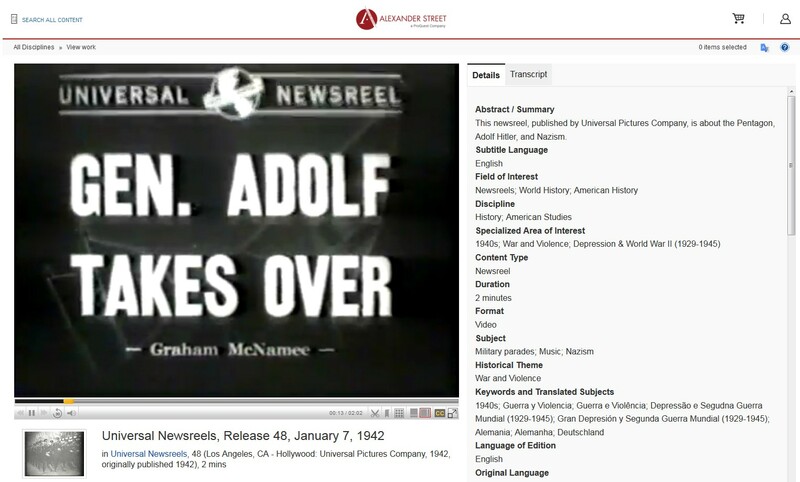 While previous posts in this series have looked at groups of online primary source collections, in this post I wanted to highlight resources that give you access to film and moving images, including films, documentaries, TV programmes, public information films, archival film footage, cinema newsreels, advertising, home movies, etc. This is the second in a (very) occasional series highlighting some of the online resources available at the Library that will be of interest to students and staff in History, Classics and Archaeology. Archives Unbound from Gale Cengage provides access to topically-focused digital collections of historical documents. This is a vast array of valuable primary source material covering a broad range of topics from the Middle Ages onwards and the material supports the research and study needs of students and scholars. Most of collections are chosen for Archives Unbound based on requests from scholars, archivists, and students.